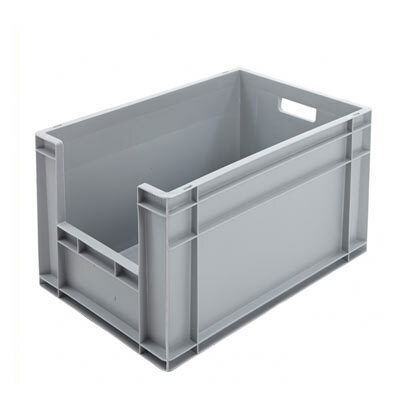 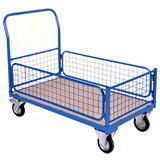 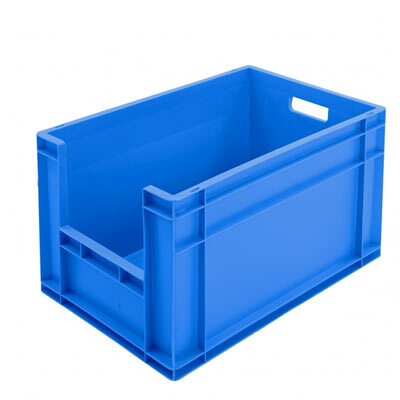 These heavy duty Euro stacking containers are perfect for warehouse and manual handling environments. 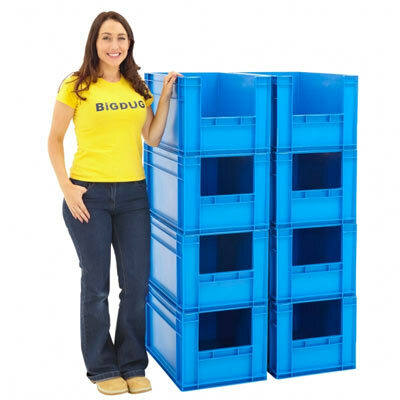 Ideal for businesses with a distribution network across the European continent, these stacking containers are optimised to fit a standard European sized pallet. 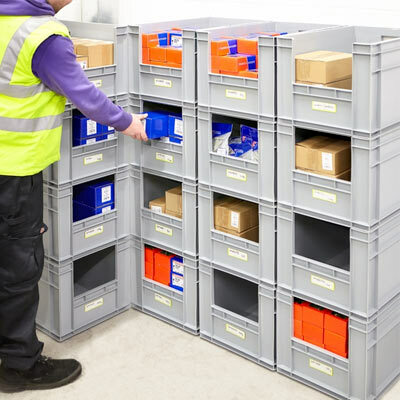 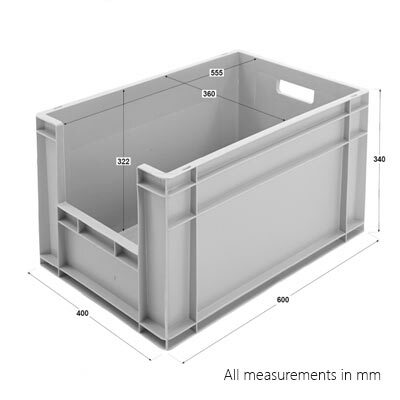 Perfect for storing or stacking loads for subsequent use, these containers help conserve space where required and are available in a variety of depths which can make transporting bulky or large volume components across distances easier to complete. 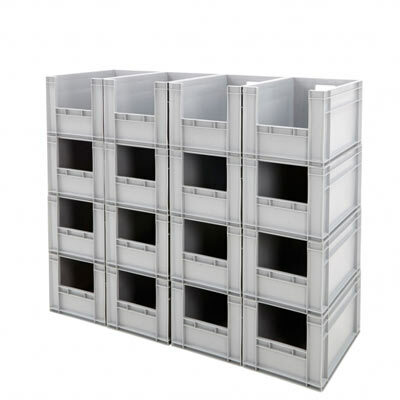 Sturdy and durable for the commercial environment, the opening front makes identifying and retrieving contents easy, while the stacking advantage provides a greater loading and space conserving capacity. 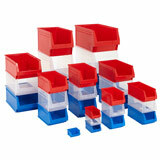 Perfect for stacking on top of each other and can even work perfectly as a stand-alone storage container.